Professor Joseph Dodaro (Tang Chen Wu) Dragon 22nd Assassin is personally going to train you on Skype. This is absolutely amazing as he has spent 58 years in private training with the greatest authentic educators in the world. Three–Star Gen. Hsu, Fun Yuen train him 20 years 20 hours weekly privately in the system you will be training. Immediately you discover that conventional martial arts and military Arts do not have this extensive elaborate methodology that China possesses. 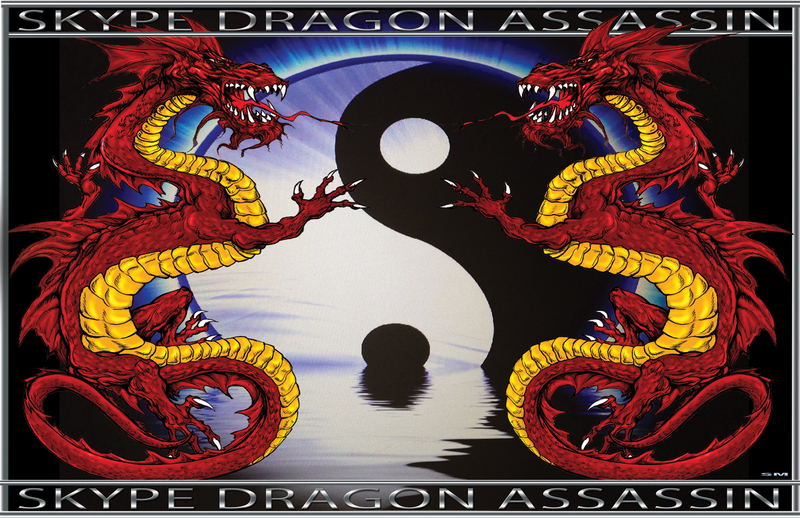 Dragon Assassins never uses hard punching, kicking, blocking, techniques, ground fighting, anger, or tension that is useless on the battlefield. Hard style martial arts that uses excessive muscular tension causes fatigue that allows muscle fibers to stiffen. This greatly reduces nourishment to insufficient level by stagnating the circulation of blood and lymph. When the hand clenches a fist, circulation stops in the hand as pressure is returning to the heart in the circulatory system and through the laogong acupuncture energy field point channel in the palm of the hand that directly connects to the heart. This places tremendous stress on the heart that has caused severe heart attacks. Tension causes contraction of the heart that if struck can be fatal. Punches places negative pressure on the shoulder, elbow, wrist and finger joints that damage range of motion, tendons, ligaments, fascia, nerves head, neck, and vertebrae. The training begins with the understanding that you are learning to protect yourself and family from the highest level of assaults meant to kill you. Shen the mind is the control center that gives your body the commands to evolve supernatural forces that’s demands a healthy mind and body. It is vital to make a commitment to yourself allowing you to live a quality healthy life free of psychoactive substance abuse and psychological dependencies that destroy you. Harvard Medical School has endorsed two of China’s military systems QI Gong and Taijiquan discovering they alleviate stress, depression, fatigue mentally and physically etc. Simultaneously you’re being trained in the highest level military system, supreme Health system, and explosive combat energy conditioning system. energy field point between the eyebrows that develops a strong intuition sensing danger. Above the Yintang is the Sky Eye protects the assassin with spiritual energy. The Sky Eye above the hairline is Shenting acupuncture energy field that transmits signaling received from the atmosphere to alert you of danger quickly. The Taiyang acupuncture energy field points located 1 inch from the eyes on the side that increases vision executing instance response to the retina and the optic nerve that originate as outgrowths of the developing brain. The retina is considered part of the central nervous system and is brain tissue. The retina at a heightened level in visual imagery training sees the smallest intricate movements as the imagination develops energy pathways. The retina transmits electrically signaling through sensory neurons electrically excitable cells to Shen Psych energy that sends electrically impulses to the brain. Signals are transmitted instantly astronomical times in each maneuver and traditional system to develop amazing quick reaction time that saves your life as every second counts. instinct and behavior. The gland transmits a powerful electrically signaling transforming with the Yintang and Taiyang signals that are activated simultaneously as sensory neurons intensifying the retina to transmit signals to Shen Psych. Special Forces Assassins transmits combat signals that are on a highly developed frequency to Shen that transmits this electrically signaling through the Cranial nervous system by ways of sensory neurons electrically excitable cells. The contractile muscles are sculptured, cut, and conditioned to execute tremendous force withstanding excruciating pain for extraordinary power in the assault. Commands are transmitted astronomical times during traditional military secretive systems and maneuvers through the nervous systems that directly is in contact with the muscle, meridian pathway channels transmitting through the fascia a covering surrounding muscles, and internal organs. Nerves move muscles in response to voluntary and autonomic involuntary signals from the brain. The somatic nervous system is the part of the peripheral nervous system associated with the voluntary control of body movements via skeletal muscles. Special Forces Assassin developed slow twitch muscles in static low powerful pressurized force Tiger stances for two minutes to resist fatiguing. Then explode into dynamic aerobic Tiger stance without fatiguing as tendons and ligaments strengthen for quick change of direction. Muscles cells are sculptured and cut specifically to execute combat assaults through commands from nervous system. Assassination Maneuvers executes Shen deep meditative pressurized force breathing that calms the body allowing energy to travel through the cranial, central, and into the peripheral nervous system. Low Tiger maneuvers place tremendous pressurized force to strengthen contractile tissue by increasing muscle cell growth (hypertrophy). Simultaneously pressurized force breathing executing oxygen through the circulatory and respiratory’s systems are vital to increase bonedensity (ossification).The endocrine system secretes specialized hormones into the bloodstream and executes the most powerful electrically signaling that outlast the nervous system signaling developing the assassin with supernatural powers. The fascia is stretched allowing 12 meridians channels and eight superficial channels opening pathways for QI energy force to travel enforcing Yin Yang intrinsic energy that protects the outer and inner layers of the skin. guaranteed you’ll be killed, and a punch is useless as soldiers ware a lot of equipment. In proximity daggers are attacking demanding an extraordinary level to defend against. Most vital is combat energy conditioning that executes pressurized breath QI Gong breathing that generates energetic forces to make the entire mind and body energized. Mental and physical fatigue results from any type of tension, anger, or injury. It is imperative to energize the legs to continue maneuvering that is essential to survive. Chicago’s dangerous streets run by professional gangs that higher Masters to train them in strategic knife combat. energies. The problem we have in the world as we believe once you graduate college education Is done. In reality it’s just beginning as Professor trained with educators over 58 years and will continue once his teacher moves to California. Professor has the ability to make each training session enjoyable and fulfilling as you learn to execute these energies you feel magnificent and eliminate fatigue, depression, and anxiety. You will enjoy the training as this relates to your entire life. The pictures of Professor are in his 60s in the best combat energy condition of his life allowing him to enjoy Life without prescription drugs or pain. Professor lives in Woodland Hills California and can accept individual or small groups at this home. If there’s a larger group it’s possible to go on location. Professor is working on his two movies and executing his daily routines. No contracts, best to schedule training in advance. This is a secretive system, but there are sections that can be taught to help the population become healthier. It has taken professor 45 years to become Dragon 22nd assassin as in one training session you would be amazed at the amount of education he has as and you will feel magnificent within exceptional amounts of energy. Professor is an academic ranking above Grandmaster in martial arts and military arts. It is vital to comprehend to strengthen the mind that will straighten the body.